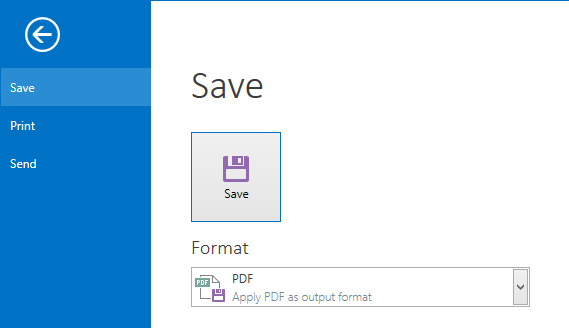 The format for saving reports is PDF. Click in the Report Viewer on the button “Save”. The files can be stored in the project folder and accessed under ‘Documents’ in the project management.